Lord, today we pray for Africa’s most populous and Christian nation: Nigeria. Thank you for the wide and diverse growth within the churches of Nigeria. Thank you for the influence the greater church has had on its nation. But, Lord, as you know, growth can be a mile wide, yet an inch deep. You see the significant need for greater depth and discipleship within Nigeria. We beseech you to send laborers and resources to the churches within Nigeria so that greater maturity can come about. We pray against a church culture that promotes status, power, celebrity and prosperity over the life of following Christ whatever the cost. We pray for disciples to care about strengthening their own character, and to work on keeping Christ at the center of their marriages and other relationships. We pray for leadership development not only for pastors, but for others within the church, so that disciplemaking efforts can be multiplied. We pray for unity, victory over sin, a spirit of prayer, and effective evangelism. 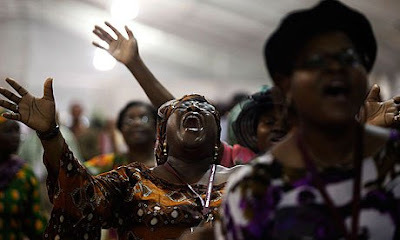 May Nigerian Christians be lights within their land. In Jesus’ name we pray, amen.